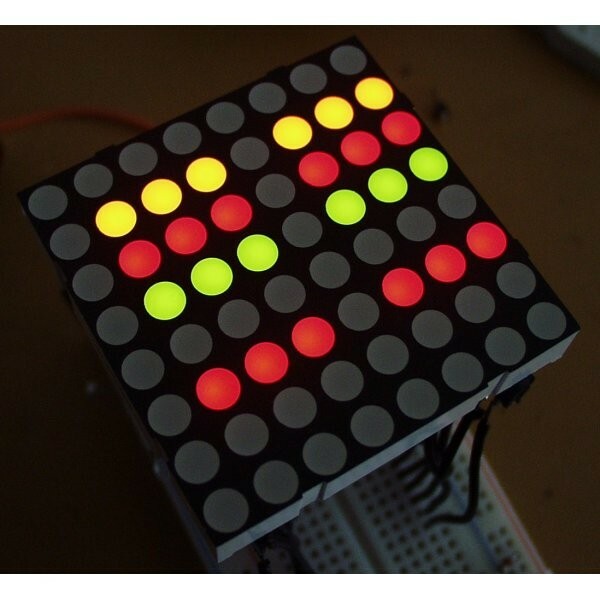 LED Matrix with Bright-Red and Bright-Green LEDs. This medium matrix has 64 Red/Green LEDs built into one common cathode housing. Unit comes with a black finish and a opaque LED lenses. Dimensions: 0.33 x 2 x 2"